Foreign Immersion Program in the Silicon Valley and San Francisco. 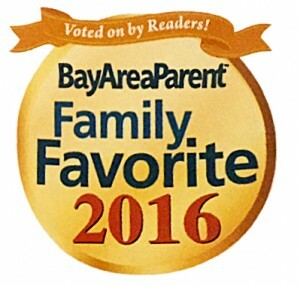 Thank you families for voting for us! Thank you familes for voting Let’s Play in Spanish as Best of the Best in Silicon Valley for the Foreign Language Immersion Classes. We will continue to provide a unique, fun and creative learning environment to teach Spanish in the most unforgetable ways for kids and families. Let’s Play in Spanish or Juguemos En Espanol relies on a hefty dose of music and laughter to make learning languages fun for children. Let’s Play in Spanish (¡Juguemos En Espanol!) takes a creative approach to language learning. Susy Dorn has developed a program to engage children as young as toddlers with stories, music, puppets, and movement, with the goal of teaching them communication in Spanish. A series of CDs, DVDs and books help the lessons stay alive at home.